Storm Water Regulations and Best Practices - Complete, Inc.
Storm Water Management involves Understanding, Planning, Analyzing and Controlling the effects of storm water run-off in residential and commercial areas throughout the country. Federal, state and local municipalities have implemented various levels of storm water management programs, especially in coastal areas and river-bank cities. ICC Code 402.3.2.1 Stormwater management. Stormwater management systems, including, but not limited to infiltration, evapotranspiration; rainwater harvest and runoff reuse; shall be provided and maintained on the building site. Stormwater management systems shall address the increase in runoff that would occur resulting from the construction of new buildings and impervious hardscapes…” Please go to www.iccsafe.org to view the January 4, 2010 guidelines and other helpful information. Under the Clean Water Act, the Office of Wastewater Management [OWM] works in partnership with Environmental Protection Agency [EPA] to regulate discharges into surface waters such as wetlands, lakes, rivers, estuaries, bays and oceans. Specifically, OWM focuses on control of water that is collected in discrete conveyances (also called point sources), including pipes, ditches, and sanitary or storm sewers. A commonly implemented strategy in controlling run-off water is the use of Watersheds. Watershed were started by the EPA; they consist of an area of land from which all rainfall (run-off) drains into a body of water. 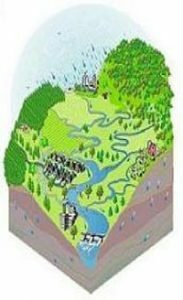 A watershed is like a funnel; it collects all the water within the drainage area and channels it into a waterway.Watershed programs are used throughout the country, especially in coastal areas and riverbank communities. For more information of the use of this program, visit watershedcentral@epa.gov . One of the most intricate storm water management programs in the country was begun in the early 1900’s and serves the New Orleans, Louisiana area. This system consists of numerous pumping stations; the use of river levees; a sophisticated storm water drainage system; and new construction regulation. Recently, John Minor, President of Complete General Contractors, taught a class in New Orleans on Storm Water Management and Best Practices. Please visit our website, teamcomplete.com, for a copy of the course curriculum and a variety of information. Complete General Contractors, Inc. specializes in hurricane damage restoration from residential, commercial, industrial and by municipality. John Minor has worked post-hurricane sites since Opal in 1995; his experience is far reaching – from the Carolina’s to Texas and all along the coast of Florida. The staff of Complete can meet with you to review your preparedness plan, and we will be there afterwards should you ever need us. 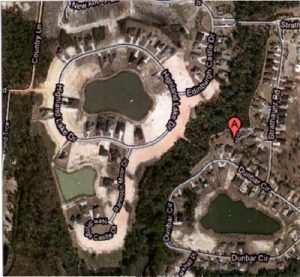 We specialize in the actual restoration, prevention, as well as, dispute resolution of a claim. Call the company the pros choose – call Complete.